Moisture and homes don't mix. If trapped in your basement or crawlspace, it's only a matter of time before a minor issue becomes one you just can't ignore. Here are a few tips on preventing one of the most slippery problems that homeowners face. Though you don’t live in the tropics, the most humid days might make you feel like you do. That dampness is not only uncomfortable, but it can also be damaging to your home. 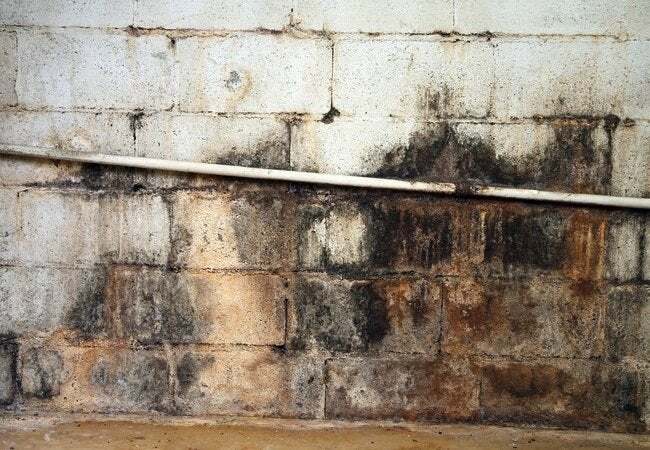 If moisture gets trapped in your basement or crawlspace, for instance, it can eventually cause a host of problems, ranging from mold and mildew to buckling floor materials. To prevent such issues, make sure the terrain surrounding your home slopes away from the foundation and that your gutters deposit water at a safe distance. If you notice any puddles in your basement or crawlspace, or see any signs of mold or mildew, check for plumbing leaks or drain problems right away. In a crawlspace, remember that ventilation is a must for many homes. A good rule of thumb: Allow one square foot of vent space for every 150 square feet in the crawlspace. Another best practice is to cover any bare ground with thick plastic sheeting. Meanwhile, in basements, apply a waterproof sealer to the floor and walls in order to block the intrusion of moisture. Still having problems? Consider sealing the vents and installing both a dehumidifier and a condensate pump.